Let us be your SEO Agency in Portugal. We specialise in quality SEO, both on-site and off-site. We will make your site Search Engine Friendly, so you can quickly gain authority and credibility. We follow strict guidelines, so you will never be penalised. Our approach is transparent and clear. Our team will explain and guide you through all the SEO hurdles and technicalities. We will train you, so you can integrate and manage SEO within your organisation. 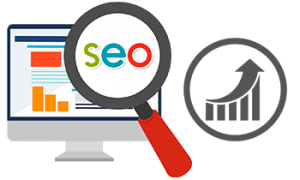 We will frequently let you know of your SEO success and positioning. We will let you know how you perform vs your competitors. SEO is in for the long haul. We look forward to a long and lasting professional relationship. Our strategy is very focused in constant additions to your site, integration with Content Marketing and a sound Social Media Strategy.